Quad core processor — faster and more responsive than previous generations. Dual touch technology (finger touch + stylus touch) helps you manage your MAX 2 PRO easier and simpler. Wacom 2048 levels pressure sensitivity gives real pen-to-paper experience. Sketching, drawing, note-taking, and handwriting all become very easy and handy. Android 6.0 offers better compatibility and expansibility to third-party applications. 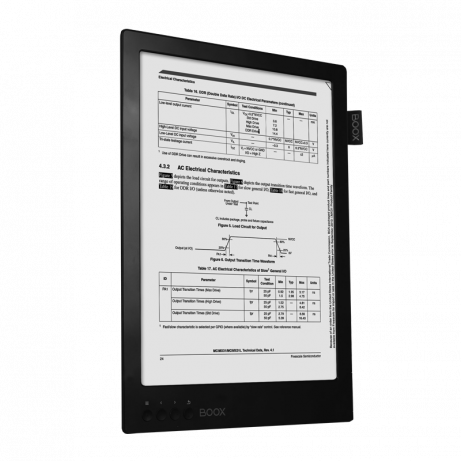 MAX 2 PRO screen size is incredibly good for reading large PDF books. No zooming and scrolling needed, it displays original book size. 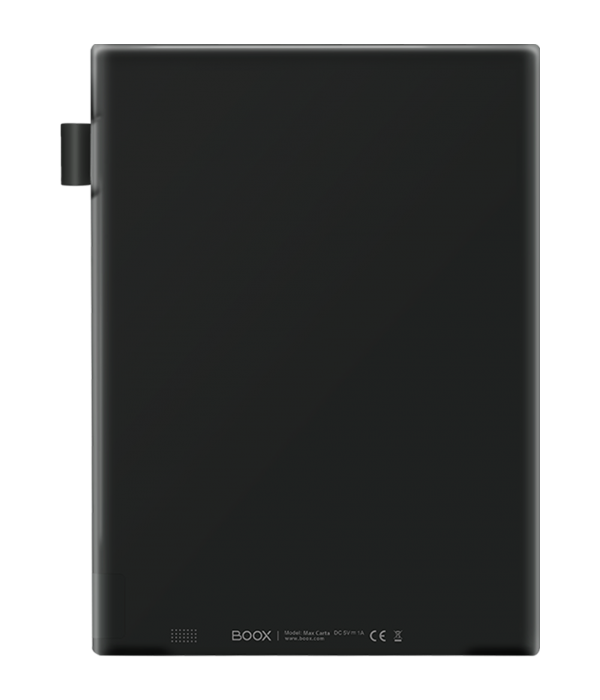 On MAX 2 PRO you can enjoy the rich reader features of BOOX eReaders: bookmark, highlight, annotation, scribble notes, reflow, adjust fonts and contrast…and a lore more. Powered by quad-core processor and Android 6.0, MAX 2 PRO allows you to complete most tasks done on regular Android tablets aside from watching videos smoothly. Install your daily favourite apps: bookstores (Kindle), Cloud( Dropbox), Web-browser, RSS readers, newsstands…Save your eyes from tiring LED screen. 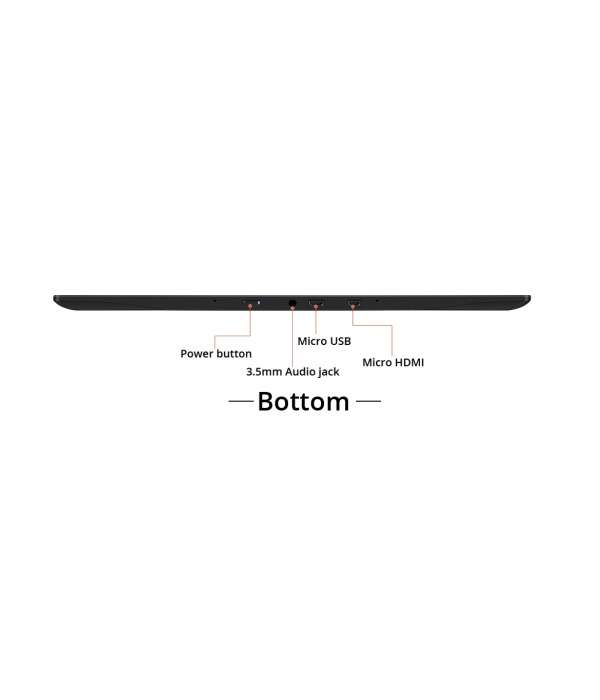 Larger than iPad Pro screen, MAX 2 PRO screen can be used as a second monitor via HDMI port. No hassling to install any software. One single tap will help you to sync your computer screen to MAX 2 PRO screen. Treat yourself with some luxurious break from your computer screen that causes you digital eye strain. MAX 2 PRO adopts Wacom creative pen technology, which offers most natural pen-to-paper experience. 2048 levels of pressure sensitivity gives users superior control to create very artistic images and text. Write, sketch and jot down your ideas any time and anywhere. Do not worry about running out of pages with 64 GB internal storage. No lagging, just like writing on the paper. Powered by quad-core processor and Android 6.0, MAX 2 PRO can run multiple apps at the same time. A single tap to the right up corner will display all running apps. 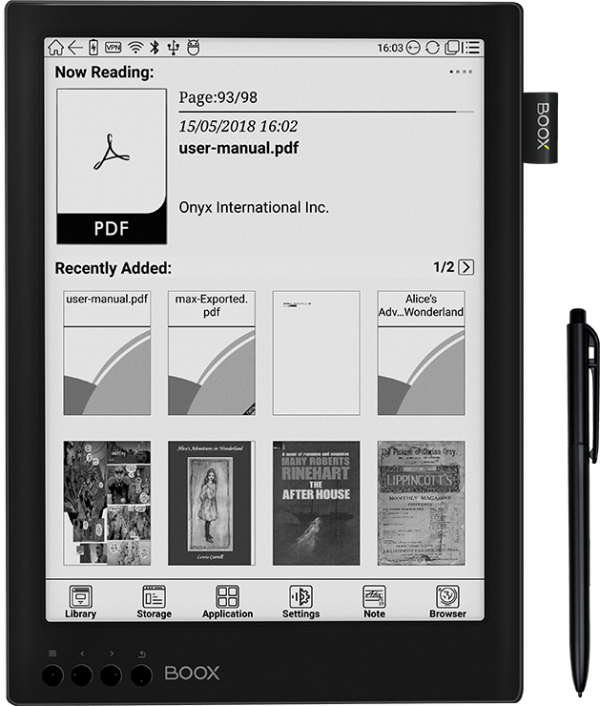 MAX 2 PRO supports over 10 main trend Ebook formats, especially exceptional for reading PDF books. Sharp and dark text, various font options, bookmark, highlight, annotation, handwritten notes, side note, and pinch-to-zoom – all reader features make your reading more enjoyable. Divide the screen into two windows, catch up your sparkle thoughts by writing them down on the blank window page while reading. E Ink screen allows you to enjoy the convenience of technology as well as to experience the traditional paper-like feeling.